I’m back! I took some time off to pack up all of my things and move into a new apartment, so it’s been a process to say the least. 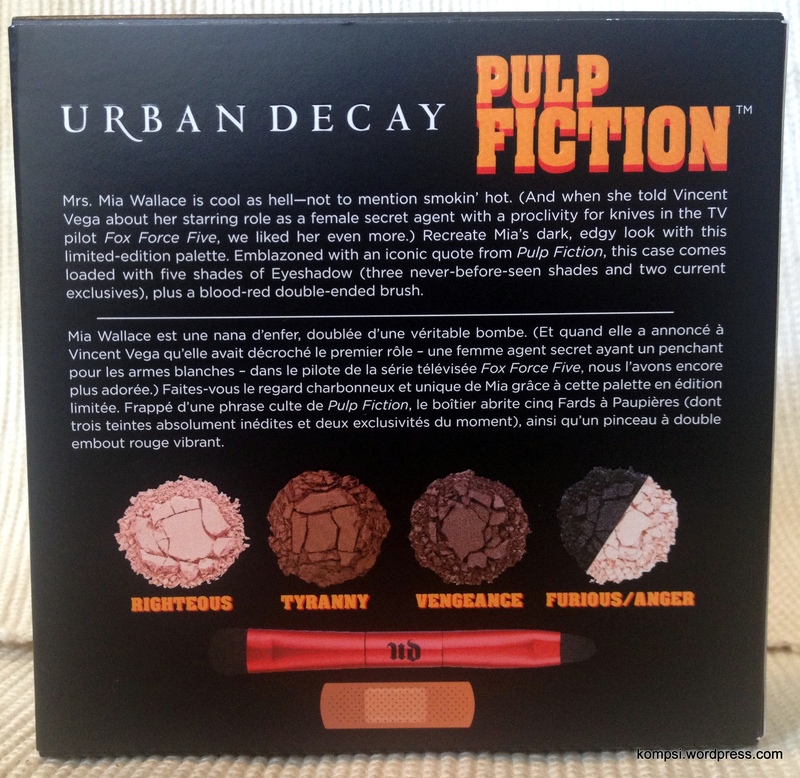 Anyway, during that time Urban Decay announced and released a limited time collection celebrating the 20th(!) 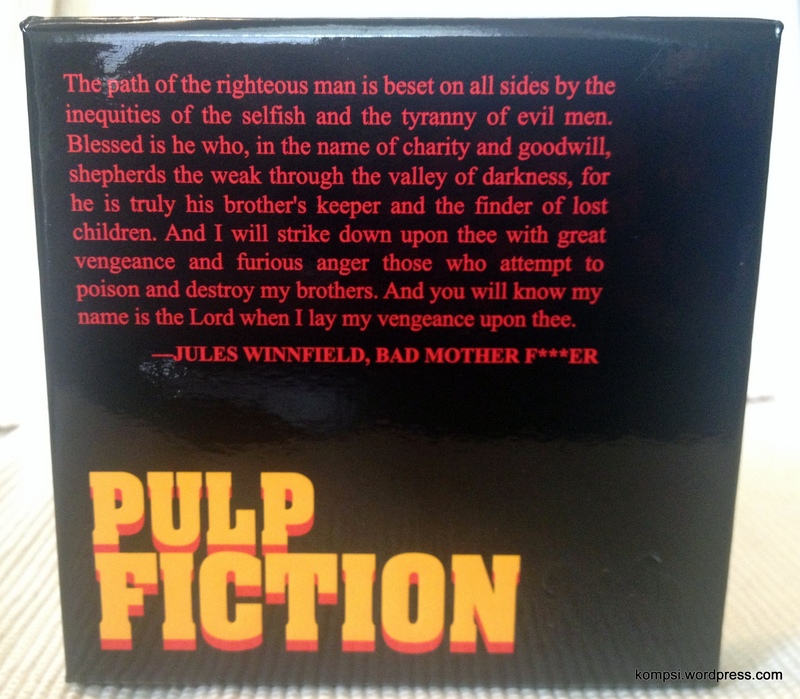 anniversary of the iconic film Pulp Fiction, specifically to mimic the look of Mrs. Mia Wallace, as played by Uma Thurman. The collection features a matte eyeshadow palette, a red lipstick and lip liner, nail polish and glitter liner, all encased in limited edition black packaging and boxes featuring the movie logo. Trying my hardest to channel all the bad-assery of the film. Not sure if it’s working. 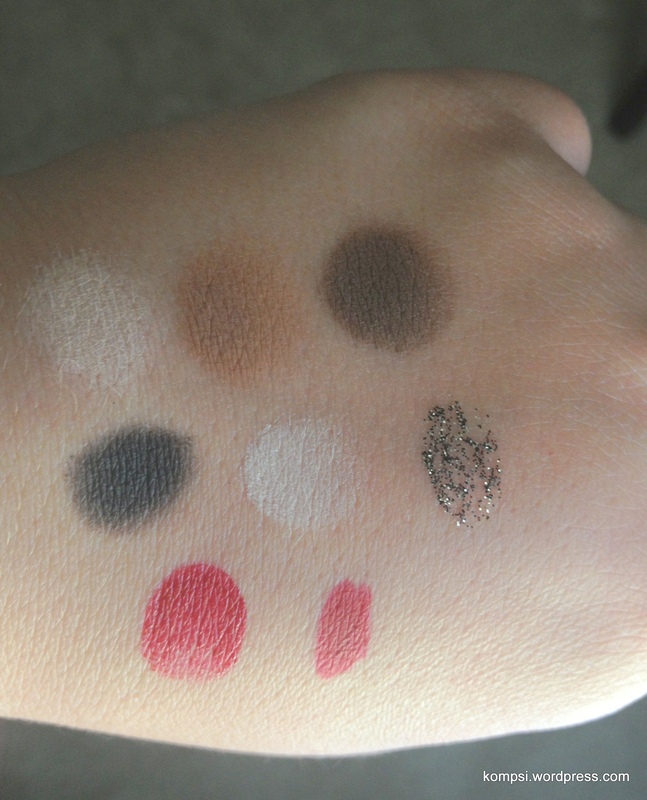 On first look, the palette looks very similar to UD’s Naked Basics matte palette, but it’s really very different. 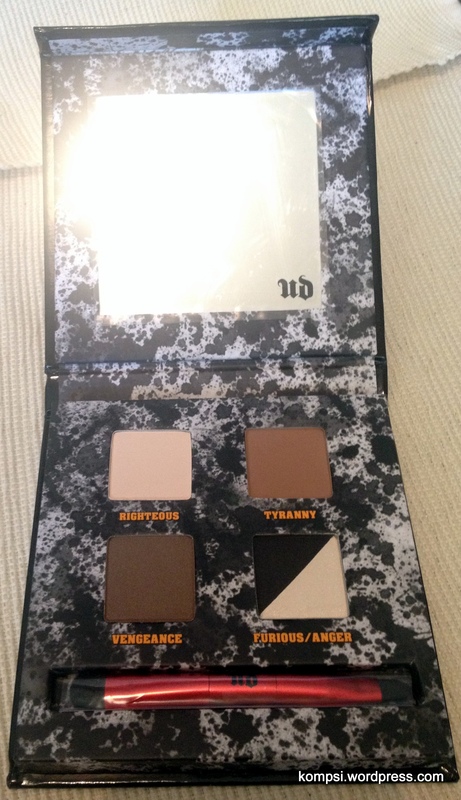 I actually prefer this one to Naked Basics and I’ve used it quite a bit in the time since I got it. 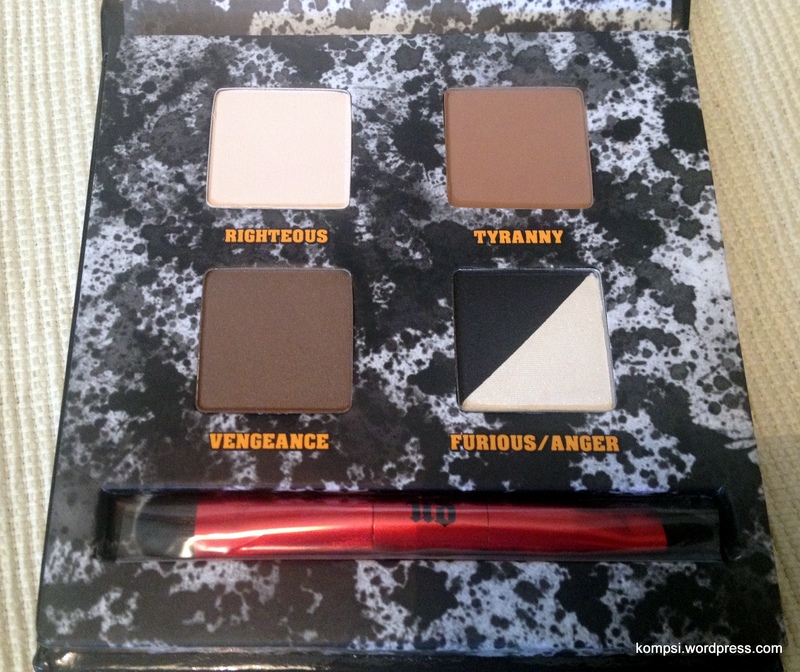 Vengeance is described as a deep taupe-brown matte-satin and it is MY JAM. Also included is Righteous, a light matte cream; Tyranny, a warm brown matte; Furious, a white satin; and Anger, a black satin with slight tonal shimmer. 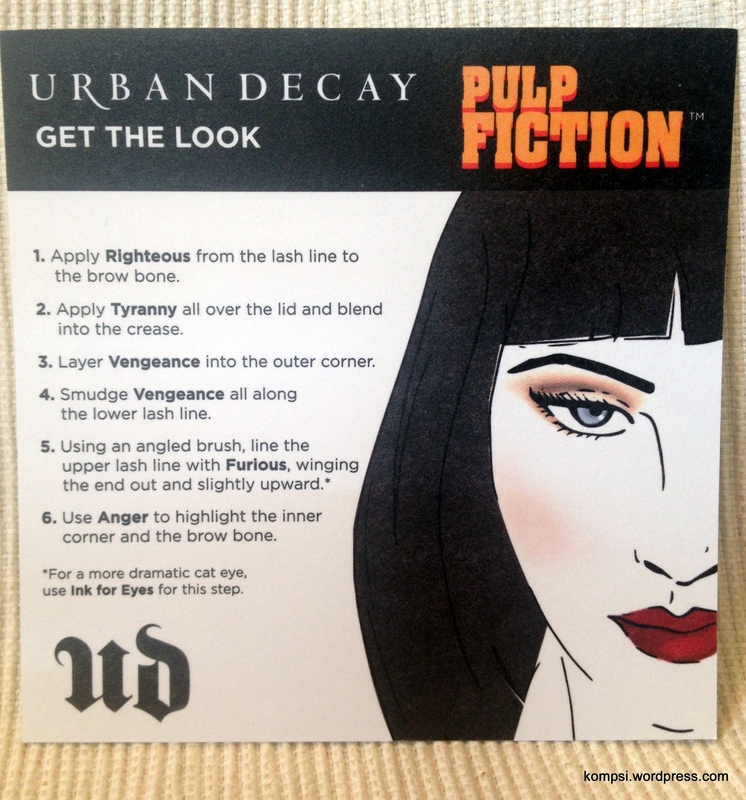 It also includes a card on how to recreate Mia’s/Uma’s makeup in the film. 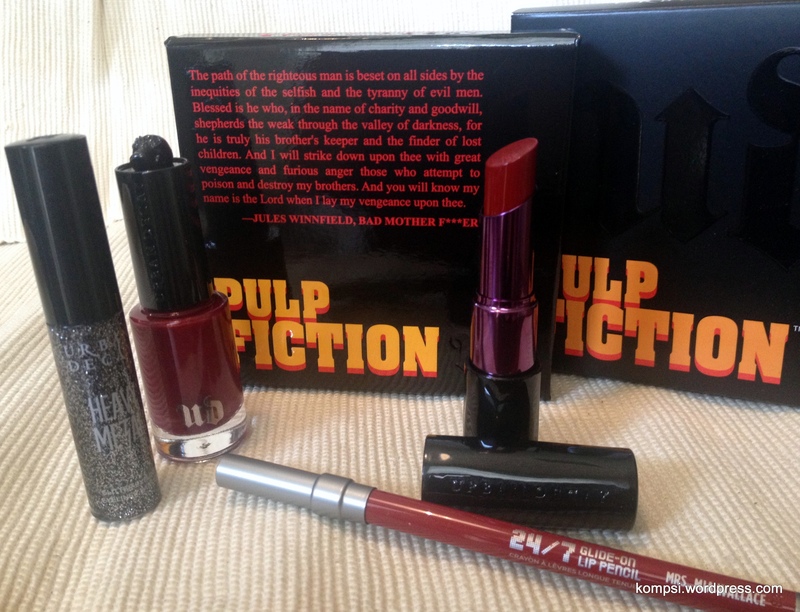 The red lipstick and lip liner are new shades called Mrs. Mia Wallace, a deep blood red, using UD’s Revolution lipstick and 24/7 Glide On lip liner formulas. 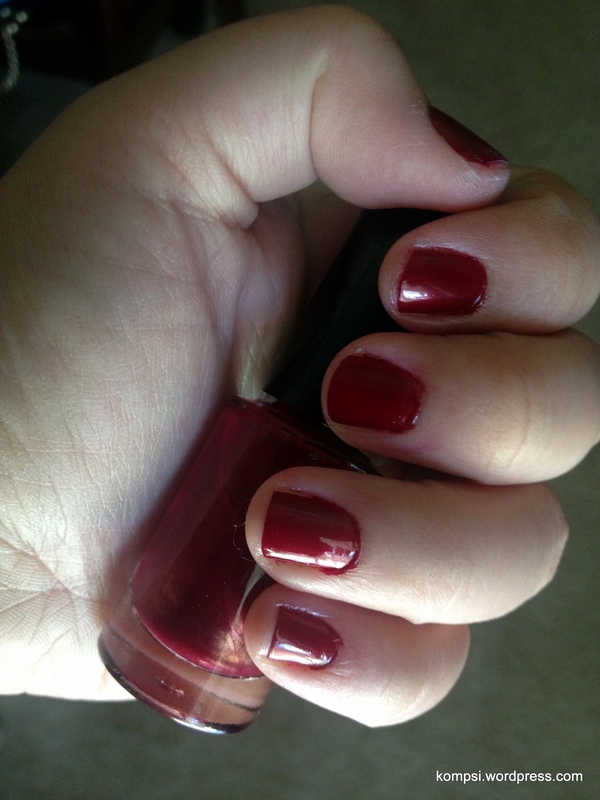 They are smoooooth and so pigmented, a great vampy shade for fall. The nail polish, also named Mrs. Mia Wallace, is the same deep blood red as the lip products, but looking at the bottle close up I can detect a bit of gold shimmer. It is so beautiful on and wears like a dream for a solid seven days. In the film, Uma is actually wearing Chanel’s Rouge Noir, which looks like it has a little more brown in it but I love UD’s modernized take on it (although it should be noted that the 90’s are coming back in a big way!). To round out the collection, UD also added a Heavy Metal glitter liner in Gunmetal. It is black and silver glitter in a black base. Yeah, Mia doesn’t wear any glitter in the film but I think it complements the collection nicely. It’s a really nice, wearable glitter liner that doesn’t necessarily scream “GLITTER! !1!” when you wear it. Grown-up glitter makeup, if you will. Truthfully, this isn’t an earth-shattering collection by any means. 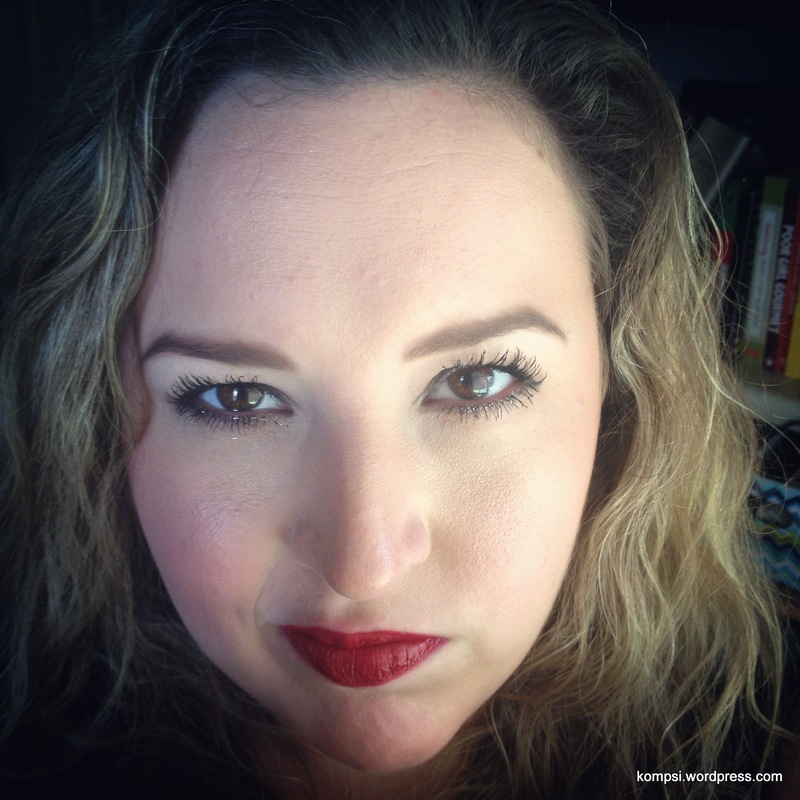 Neutral matte/satin eyes paired with red lips and nails, easily dupable by a multitude of brands. However, if you love the movie or haven’t yet found a matte palette or red lip/nail that you love, I suggest checking it out! It is available now, at Ulta, Sephora and UrbanDecay.com.